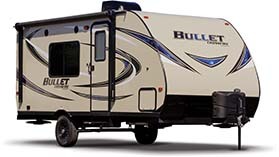 Many RVers seek Expandable RVs (or hybrids) for the camping experience. Also called popup campers and collapsible travel trailers, these folding expandable RVs unpack and expand to add plenty of room inside the camper when set up. Towing is easy, parking is a snap! 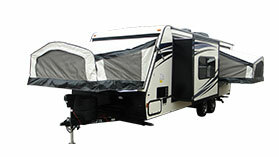 Expandable RVs are also the most affordable type of travel trailer we offer.